Hi everyone, today I'm here for Hello Bluebird and I have two cards to share with you all using some older release products. The brand new release just came out the other day (unfortunately I don't have it to play with yet) but I made these two cards a little while ago and wanted to share. The first card I made is using the Elephant Friends stamp set along with the Gallery Frame Die #1 Dies. 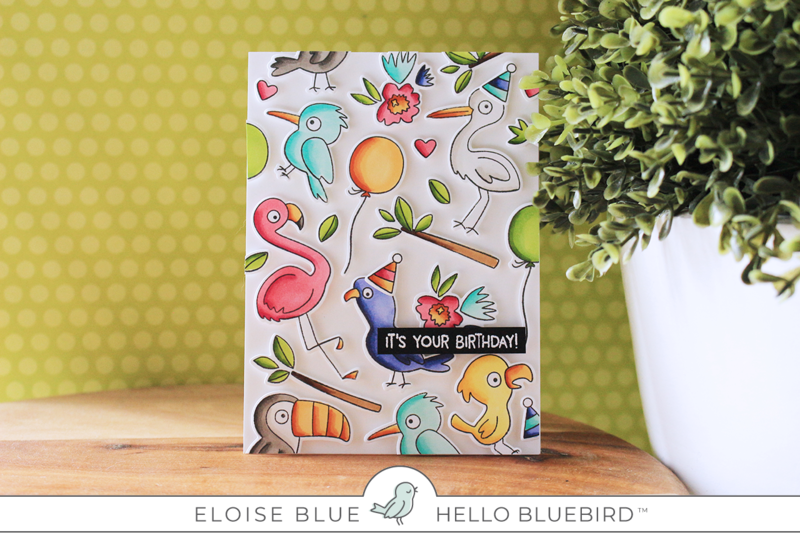 The second card I'll be using the Silly Birds stamp set to create my own background. For my first card, I started off with stamping, colouring and die cutting the images I wanted to use from Elephant Friends. I used my Copic Markers to colour them in. Once they were all ready to go, I then used the Gallery Frame #1 Dies and cut them out of some plain white cardstock and also some yellow cardstock. I wanted the thick frame around the outside to be white, and the smaller sectioned off frames to be yellow. Lastly, while I had my die cutting machine out - I used some grassy hill border dies and cut them out of some green cardstock and cut down a blue background to go behind my frame. Now that all my pieces were ready to go, I started off with adhering my white frame onto a white card base, flat down onto the card. Then I inlayed the blue background and adhered it down flat as well. Next, I adhered down my green grassy border and adhered my yellow frame over top with foam tape. I then added adhesive onto the backs of my images and adhered them into place as well. 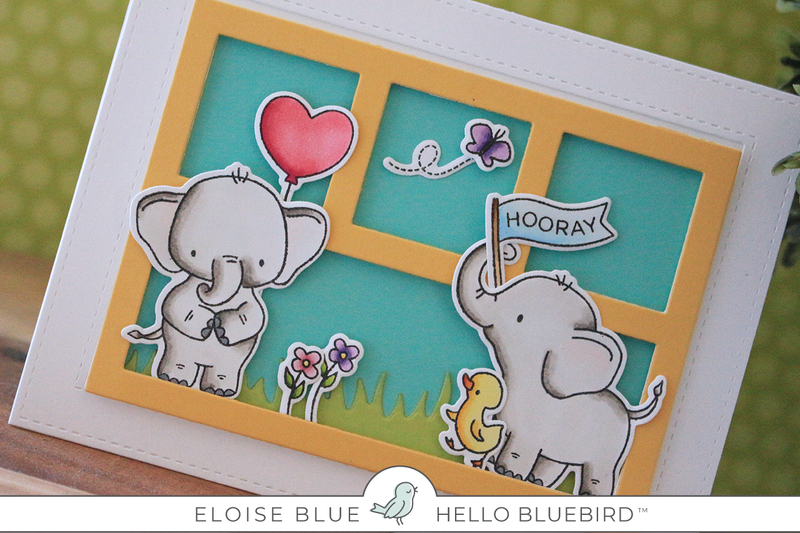 For my sentiment, I decided to go super simple and just use the little banner and stamp 'Hooray!' on it for the elephant to hold. So that finished up my first card, now let's move onto the second card. 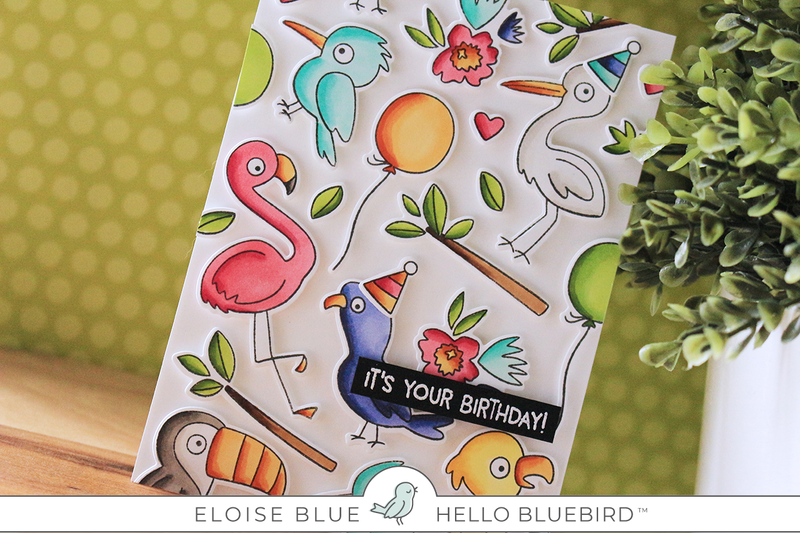 For my second card I was really inspired to just to a 'DIY' background with all these fun birds from Silly Birds. So I started off with stamping them all out onto some white cardstock and colouring them in with Copic Markers. Once they were all coloured, I used the coordinating dies to cut them all out. I then added foam tape onto the backs of all my images and set them off to the side. I cut down a card base from some more white cardstock and then adhered down all my birds. I filled in the smaller gaps with leaves and hearts to make it as full as possible. I also spread out the colours of birds to make it more pleasing to the eye. For my sentiment I used the 'It's Your Birthday' and white heat embossed it onto a black strip of cardstock. I then popped it up on more foam tape and my card was complete. Super simple but very heavy with colouring which I love. Thanks so much for stopping by today, I hope you enjoyed and were inspired. 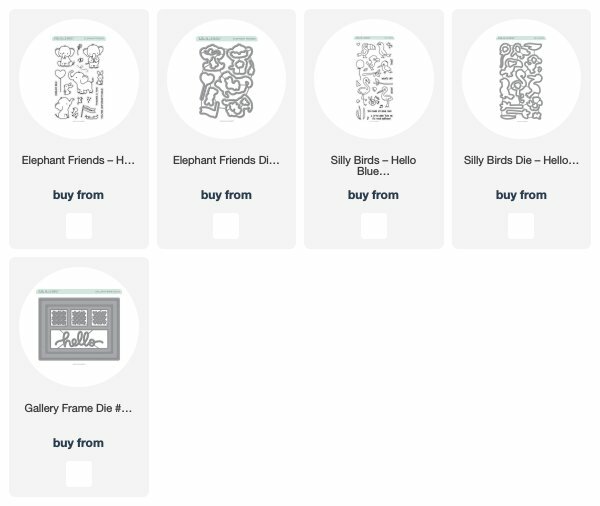 Make sure you check out the brand new release items from Hello Bluebird, they are amazing and I can't wait to play with them. 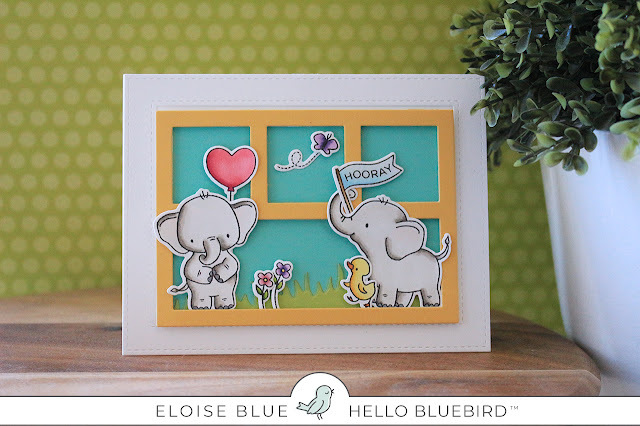 These are both so sweet Eloise and the second one is really adorable, well done as always.